The attorneys at SinclairProsser Law are members of the American Academy of Estate Planning Attorneys. “The Academy” as it is commonly known, is a group of attorneys dedicated to helping families plan their estate, preserve their assets and eventually distribute their wealth. The Members of the Academy meet every six months to stay connected and educated on the latest estate planning issues for our clients. In October 2014, the attorneys and staff members of the Academy met at the Historic US Grant Hotel in San Diego, California. Why is it important for the members of the Academy to meet? What benefit does it have for our clients? 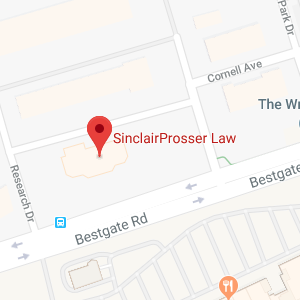 SinclairProsser Law has been a member of the Academy for 19 years. Over the past 19 years there have been many changes in our society and in our laws. The Academy allows for the attorneys and staff of the law firm to stay in tune with many varied issues. Technology is one of the many ways our society has changed over the years. The staff at the Academy continues to explore and monitor the advances in technology and then passes that information onto its Members. Robert Armstrong, the President of the American Academy of Estate Planning Attorneys, is a visionary and continues to share his enthusiasm of technology with the Members. Robert’s knowledge allows us to implement technological changes for our clients. One change that we have made in the last few years is that we are able to keep a digital copy of all our clients’ documents. This makes is very convenient for our clients. They can call our office and we have at our finger tips a copy of their estate planning documents. Nineteen years ago that was just about impossible to do. The Academy also provides educational seminars for the attorneys and their staff to attend. As a member of the American Academy, it is recommended that all attorneys participate annually in 36 hours of continuing legal education. Dennis Sandoval and Steve Hartnett, the legal experts at the Academy, put together a varied and extensive program with an eye on providing first class legal information to the Members. This past fall, the Academy brought in presenters to speak on many different topics that are important to estate planning attorneys that included: ethical issues to consider when planning an estate, valuing and planning for art and other collectibles in an estate, disposing of guns and other difficult assets, changes in the Federal estate tax and recent tactics to assist our clients in protecting assets from nursing home expenses. Not only is the professional education part of the summit important but the Academy also strives to support its members on how to run a successful law firm. Sandy Fisch, the CEO of the Academy, coaches the members on different business aspects of a law firm, how to conduct a successful consultation, and how to present an effective seminar. Knowing the law is primarily important but being able to implement what you know is how we are able to help our clients. Being a member of the American Academy of Estate Planning Attorneys is an important part of being a successful estate planning attorney. Meeting as a group provides our attorneys with valuable information to implement in our practice and pass along to our clients.